By the time winter officially arrives, the insects, seeds and other foods that birds have been dining on have become scarce. Many of us pick up the slack by feeding the birds, and they depend on our supplemental food to get them through lean times. In addition to buying bags of birdseed, consider adding a tree or shrub to your landscape that produces berries, one of the most nutritious foods birds can eat. Berries are usually full of sugar, and some are high in fat too, meaning they’re loaded with the calories birds need to keep their body temperatures up so they don’t freeze to death. Most shrubs and trees produce fruit of some kind. What each of these plants has in common is that the fruit hangs on and ripens in the late fall and winter, when wildlife creatures have stripped other plants bare. And these living bird feeders don’t skimp on aesthetics; they are all attractive additions to the garden. 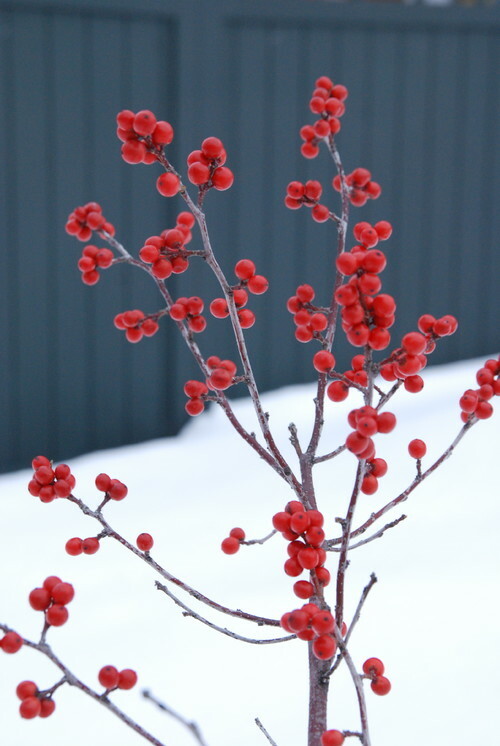 A holly that loses its leaves in the fall, winterberry is loved by humans and birds alike for the brilliant red berries that light up the winter landscape. Sure, cut some branches for decoration, but leave most for the birds that rely on them. Winterberry needs a male planted nearby for the female to produce berries. Also try yaupon holly (I. vomitoria). Bayberry’s waxy gray berries are what the early-American settlers used to make candles with, so it’s no surprise that bayberry has the highest fat content of all berries. That makes it a terrific food for smaller birds, many of which shiver through the night as a way to keep warm, which requires a lot of energy. Bayberry needs male and female plants for berries. 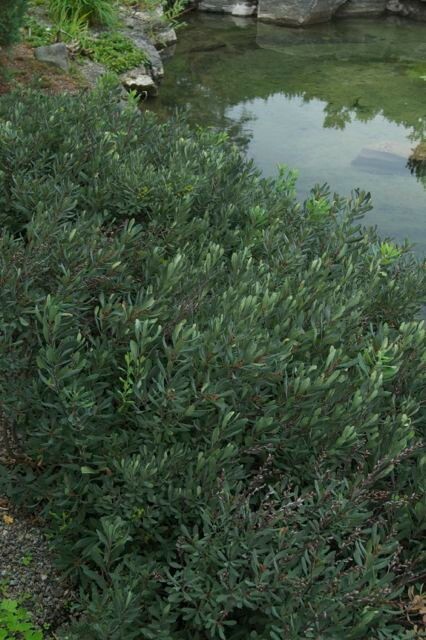 Also try Pacific wax myrtle (M. californica). Whether it’s for you or your feathered friends, you won’t go wrong with a viburnum. Many provide three seasons of interest; others are fragrant. Some are evergreen. These shrubs are all terrific garden plants, and quite a few are berry-producing machines. Also try highbush cranberry (V. edule). 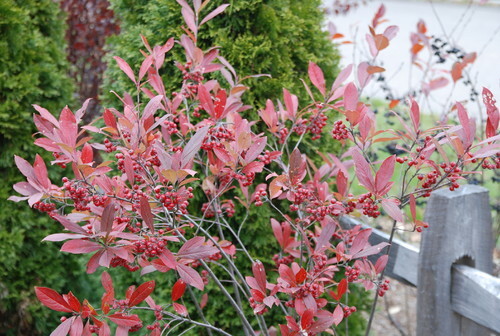 This shrub is native to the U.S. and Canada, and has great fall foliage and fruit that turns bright red in the winter. It’s called chokeberry because humans find the berries extremely bitter, birds less so. 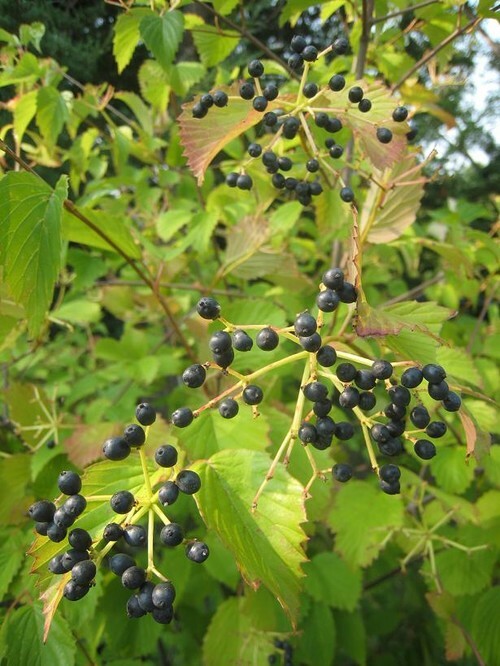 Also try black chokeberry (A. melanocarpa). The dogwood family includes both trees and shrubs, and the majority of them are gardenworthy — some for flowers; others for foliage or stem colors; still others for their graceful forms. 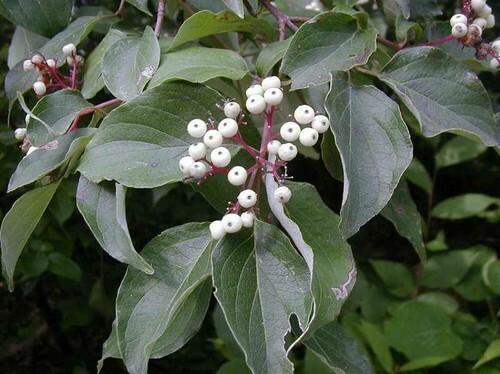 This native dogwood produces white berries that birds adore, and when the leaves fall, red stems are revealed. Also try pagoda dogwood (C. alternifolia) and redtwig dogwood (C. sericea). We enjoy crabapples for their pink or white flowers in the spring; birds turn to its berries last, when other berries are gone. 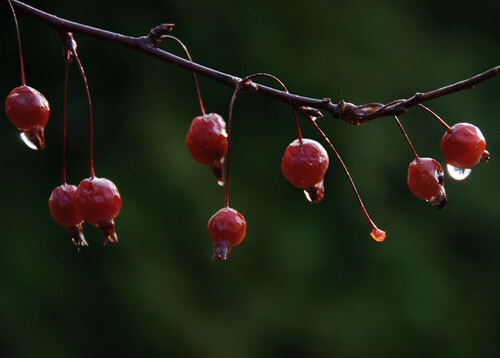 Crabapple fruit is quite bitter and needs a good amount of freezing and thawing before it is palatable to birds. There are too many crabapple varieties to count.